Brad McMullan never thought the day would come when he would return to his hometown of Norman. On Friday, the president and CEO of bfac.com, a mobile app development company, celebrated his homecoming at the University of Oklahoma. Situated at the University Research Campus, the Norman location will house the company’s new Mobile App Development and Operations Center and serve as the second location for the company. Currently located in Ridgeland, Miss., bfac.com will join 15 private companies at the Research Campus. “This is our big expansion,” McMullan said. The arrival of his company means the creation of up to 100 new jobs in its first year in Oklahoma, with a similar plan for the next year. The jobs will include sales, graphic design, client services and marketing, along with programming positions. During a Friday gathering at the new company headquarters, McMullan, who was born and raised in Norman, praised the many colleges and universities across Oklahoma for its continued commitment to higher education and the many highly-trained job seekers they have collectively produced. “They have created a great workforce, so it’s not going to be hard for us to find people to fill the positions that we’re looking for in creating apps,” McMullan said. McMullan, an Oklahoma native and a two-time Emmy award winning journalist, said he was pleased to return to his home state. He said state officials were very interested in having the company come to Oklahoma, offering incentives for the recent expansion. McMullan reflected on the history of his company, which began nine years ago while he working as a broadcast journalist. “I think nobody ever saw us getting to the point where we could become one of the largest mobile app building companies in the world and to be able to expand and see everything happen and the trials and tribulations of starting a business. To get to a point now, where we are completely debt free and to see the horizon of technology is exciting,” McMullan said. Bfac.com now currently counts 41 states, the U.S. armed forces and Fortune 500 companies as its clients. Macmillan focused on the present and onward, expressing his hope to make technology a statewide economic driver. “I want BFAC to lead that cause and bring high paying jobs to the state of Oklahoma and bring the best of the best all over the world right here. 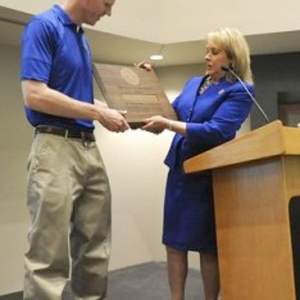 It all starts right here in Norman,” McMullan said. Hands shot up during the Friday celebration when he asked the audience how many used mobile apps. “In the state of Oklahoma, there are more cell phones than there are people. There are 34 million more active cell phones in the Unites States than every man, woman and child alive … We all have a cell phone. “While a lot of people see us as a technology company, I see us as mostly a relationship company. We want our clients — whether it’s a Saks 5th Avenue Company or 7-11 or Pepsi-Cola — to be able to have better relationships with their companies. The way you have a better relationship, is you talk to them. The one thing that everyone has in a company is a cell phone,” McMullan said. Oklahoma Governor Mary Fallin said she is excited to welcome Macmillan back to Oklahoma, calling the expansion “a great day for Oklahoma.” Fallin said pro-business policies, great quality of life and the low costs of doing business in Oklahoma has been key to cultivating a prime location for technology companies. “We have worked very hard to build a great business climate in our state. We’re excited and we hope that can continue to build the technology sector and we already have — we have great technology companies in Oklahoma in a great technology environment,” Fallin said. “This is a big deal for the Norman campus and a big deal for Oklahoma and we’re very, very excited to have a cutting edge company here. 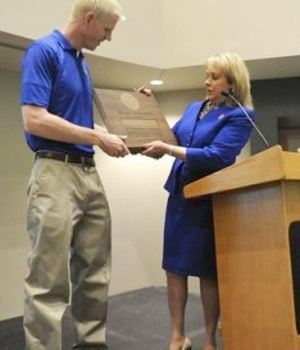 Norman Mayor Cindy Rosenthal welcomed McMullan and expressed her appreciation for his company. Norman Economic Development Coalition President and CEO Jason Smith said he appreciates the company’s willingness to put their confidence in the Norman community. problems. Whenever I take a look at your site in Safari, it looks fine however, if opening in IE, it’s got some overlapping issues. site, how can i subscribe for a weblog web site? The account helped me a acceptable deal. work and exposure! Keep up the great works guys I’ve incorporated you guys to blogroll. Attractive portion of content. I simply stumbled upon your website and in accession capital to assert that I get actually enjoyed account your blog posts. Studying this information So i am satisfied to exhibit that I have a very just right uncanny feeling I discovered exactly what I needed. Your site offered us with useful information to work on. You have performed a formidable process and our entire community will likely be grateful to you. be running off the screen in Opera. I’m not sure if this is a formatting issue or something to do with browser compatibility but I thought I’d post to let you know. actually fruitful in support of me, keep up posting such articles or reviews. They’re very convincing and will definitely work. Still, the posts are too quick for newbies. this web site includes amazing and in fact excellent information designed for readers. might be now. You’re so intelligent. You recognize thus significantly relating to this subject, made me for my part imagine it from a lot of various angles. just anyone get that type of information in such a perfect manner of writing? this. You must proceed your writing. I am sure, you have a huge readers’ base already! whoah this weblog is wonderful i love studying your posts. Stay up the great work! Its such as you learn my thoughts! You seem to understand a lot approximately this, like you wrote the book in it or something. for expansion | bdomag <Liked it! number of the subjects you write about here. Again, awesome web log! for the reason that i want enjoyment, for the reason that this this web page conations truly pleasant funny stuff too. I was excited to uncover this great site. I want to to thank you for your time for this fantastic read!! I definitely appreciated every bit of it and i also have you saved as a favorite to check out new things on your blog. Hi, There’s no doubt that your site could possibly be having browser compatibility problems. Thanks for sharing your thoughts on run car water. and piece of writing is truly fruitful in support of me, keep up posting these content. or outsourced but it appears a lot of it is popping it up all over the web without my permission. I’m extremely impressed with your writing abilities as well as with the layout for your weblog. is genuinely nice and the users are in fact sharing nice thoughts. Undeniably consider that that you stated. Your favourite reason appeared to be on the net the easiest factor to take into accout of. I say to you, I certainly get annoyed whilst other folks think about worries that they just do not understand about. I visit every day a few blogs and sites to read posts, but this website offers feature based writing. website. I am hoping to see the same high-grade content from you later on as well. may not be a taboo matter but usually people do not speak about these subjects. Keep up the good work! You realize, lots of individuals are searching around for this information, you can help them greatly. me in my opinion consider it from so many varied angles. provide for your articles. I’ll bookmark your weblog and test once more right here frequently. Hi, its nice piece of writing concerning media print, we all be aware of media is a wonderful source of facts. if you are not understanding anything entirely, but this post gives fastidious understanding even. thumbs up for your great info you have here on this post. I am returning to your web site for more soon. Its not my first time to pay a visit this web site, i am browsing this web page dailly and obtain fastidious data from here daily. What’s up, I want to subscribe for this web site to take newest updates, so where can i do it please help. really excellent material designed for visitors. I’m impressed, I must say. Seldom do I come across a blog that’s both equally educative and amusing, and without a doubt, you’ve hit the nail on the head. The clarity to your post is simply spectacular and that i can think you are a professional in this subject. Well along with your permission allow me to seize your feed to stay updated with imminent post.
) I’m going to come back yet again since i have saved as a favorite it. to hit the nail upon the highest as well as outlined out the entire thing without having side-effects , folks can take a signal. and clear your thoughts before writing. I’ve had a difficult time clearing my thoughts in getting my ideas out there. Asking questions are truly good thing if you are not understanding something completely, but this article offers nice understanding even. For hottest news you have to visit world-wide-web and on world-wide-web I found this web site as a most excellent web page for most up-to-date updates. and a large element of people will leave out your great writing due to this problem. thoughts before writing. I’ve had a difficult time clearing my mind in getting my ideas out there. Hurrah! In the end I got a web site from where I be capable of truly get useful information regarding my study and knowledge. IE still is the market chief and a good component of people will pass over your wonderful writing due to this problem. I read this article completely about the resemblance of most up-to-date and earlier technologies, it’s remarkable article. Appreciation to my father who shared with me on the topic of this webpage, this weblog is actually remarkable. more. Thanks for wonderful information I used to be in search of this info for my mission. that I believe I might by no means understand. It sort of feels too complicated and very vast for me. I am looking forward in your next post, I will try to get the cling of it! read articles, but this webpage offers feature based articles.
) I deal with such information a lot. I was seeking this particular info for a very lengthy time. If you desire to obtain a good deal from this piece of writing then you have to apply such strategies to your won web site. one of the greatest blogs on the web. I am going to highly recommend this web site! Hurrah! After all I got a weblog from where I can in fact take useful facts concerning my study and knowledge. blogger but I’m still new to everything. Do you have any tips for newbie blog writers? of work? I’ve very little expertise in computer programming however I had been hoping to start my own blog soon. I wonder how a lot effort you set to make one of these magnificent informative site. Wonderful items from you, man. I’ve take into account your stuff previous to and you are simply extremely fantastic. it. You are making it enjoyable and you still care for to stay it smart. as you wrote the guide in it or something. I think that you simply could do with a few percent to pressure the message house a bit, however instead of that, that is excellent blog. that I actually will need to…HaHa). You definitely put a brand new spin on a subject which has been discussed for years. The clarity on your put up is simply excellent and i could think you’re knowledgeable in this subject. Fine together with your permission allow me to clutch your RSS feed to keep updated with forthcoming post. This article offers clear idea in favor of the new people of blogging, that in fact how to do blogging. I think the admin of this web site is genuinely working hard in favor of his web site, for the reason that here every information is quality based information. I just could not depart your website before suggesting that I actually enjoyed the usual info an individual supply to your guests? blog and will come back in the future. I want to encourage one to continue your great job, have a nice morning! I got this website from my buddy who informed me regarding this web site and now this time I am visiting this site and reading very informative articles or reviews at this place. You have done a formidable job and our entire neighborhood will probably be thankful to you. regular basis, this website is actually good and the people are actually sharing good thoughts. later on. I want to encourage you continue your great work, have a nice day! Normally I don’t read article on blogs, but I wish to say that this write-up very pressured me to try and do it! I read this post completely on the topic of the comparison of most recent and preceding technologies, it’s remarkable article. Hey there superb website! Does running a blog such as this take a massive amount work? information you discuss and would really like to have you share some stories/information. I know my visitors would enjoy your work. found this web site as a most excellent website for hottest updates. feeds additionally? I’m happy to search out a lot of useful info right here in the post, we’d like develop extra techniques on this regard, thank you for sharing. I’m gone to tell my little brother, that he should also visit this blog on regular basis to obtain updated from most recent information. in regards to your put up that you made a few days in the past?